Zaarly, the service that allows users to find people to carry out tasks, has taken the next step of its evolution with the launch of its “Zaarly Anywhere” API. The launch sees partnerships with a range of publishers and B2C retailers, including the LA Times and the Ikea Hackers, that will brings commercial services and products to their sites and the open Web. The partners — which also include Everyday Health, The Fancy, Cookstr, Remodelaholic and Simplified Building — will be the first to make use of the API, which enables them to build dedicated services into websites (and/or partner) sites, giving customers a more natural way to finding and select items and transactions. 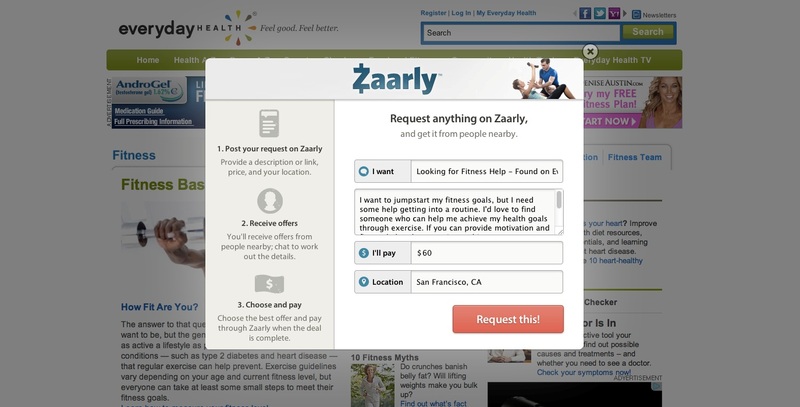 People create Zaarly requests from partner sites by clicking a button integrated with articles, social media buttons and photos. 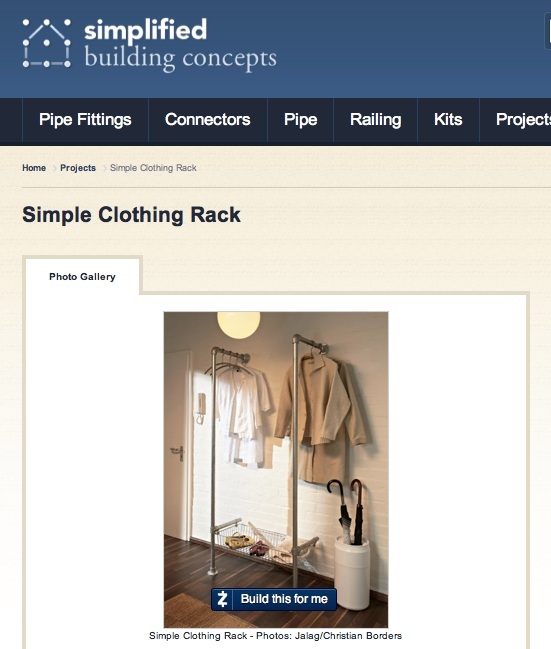 The Zaarly Anywhere API populates the request with the title, description and location details from the partner’s site. People receive offers from skilled individuals in their own community. 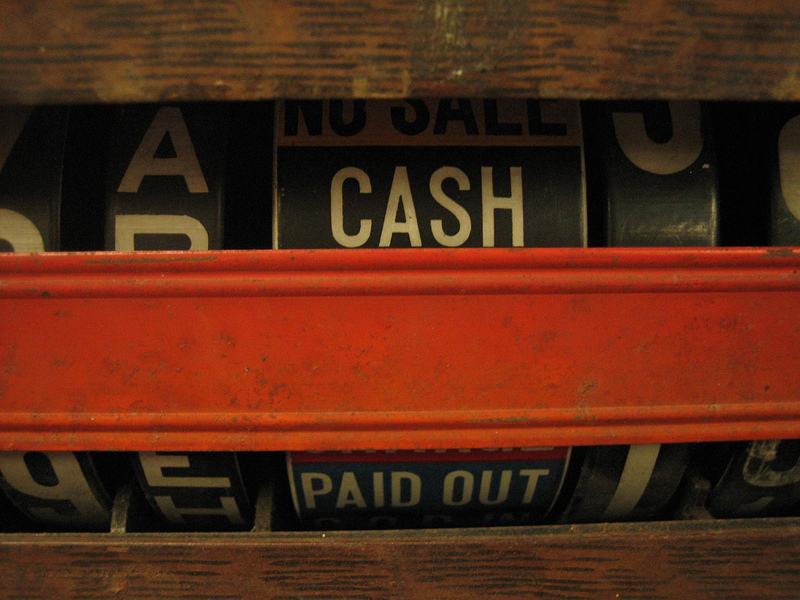 Then, they choose the best response and pay through Zaarly’s platform. So, essentially, the move is concerned with bridging the gap between content — most often material goods — and services, bringing engagement to the Web, Bo Fishback, Zaarly founder and CEO, says. The prospect is quite compelling. For example, visitors to Everyday Health can hit up Zaarly for a fitness-related request — perhaps seeking a personal trainer, equipment or tips — at any time, perhaps after being inspired by content on the health-focused website. Everyday Health’s David Siegel describes the integration as “pairing inspiration with action” and, with publishers taking a cut of each transaction they enable (Zaarly doesn’t specific exactly how much), it also has the potential to blossom into an additional revenue stream, as well as enriching user experiences. That latter point is particularly true for partners that operate in the retail space — such as Simplified Building — and, as the image below shows, the prospect of placing an order after just one-click (and a bit) from a product image is a potentially very compelling one. The strategy is an interesting one which relates, in many ways, to the e-commerce potential that sites like Pinterest could have (an opportunity that increased after Rakuten invested in it). While Zaarly Anywhere isn’t aiding social discovery like the popular pinning site, both services’ retail potential centres around enabling a convenient relevant and helpful way to bring services and sale opportunities to Internet users. The real beauty of the Zaarly offering is that it is not pushing a sale, is unintrusive and open to customisation from users – which no doubt helps shake off a salesy-like feel that many e-commerce sites and ads are tarred with. Back in November we wrote that Zaarly’s “Ask For Anything” service had clocked up $9.4 million worth of transactions, thanks to a holiday season boost, and that figure has now gone on to surpass $30 million, the company says. In addition to actively pushing the B2C Zaarly Anywhere model — which the company hopes to announce new partners for very soon — the user-to-user Ask For Anything platform will continue to be a focus for the company.